When I heard the horrible news yesterday evening about your father's tragic death I immediately thought of you. I then spent the entire 25 hours of Shabbat asking God how this could happen and hugging my children a few extra times than I ordinarily do. I can't stop thinking of the first time I met you because, whether you realized it or not, you taught me so much about your father. And about life. It was in September 2010. You were a student in my class at Temple Israel Hebrew High School. It was the first time I had ever taught a high school class about blogging and I was eager to see each teen's creativity. The first session was an introduction to blogging and I recall you weren't there. In the second session of the course all twenty teens set up their new blogs and began to write their first post with some excitement (or as much excitement as teens show in a Hebrew High School class). You sat in front of your computer with nothing on the screen for several minutes. When I came over you explained that you had no idea what to write about or even what the focus of your blog should be. It was then that I said one of the stupidest things I have ever said to anyone. "You're Jeff Zaslow's daughter and you have writer's block?" I wished I could take those words back. Fortunately, you laughed. I told you the story of how I first met your parents. Ironically, it had been at my own Hebrew High School twenty years earlier. Your mom and dad came to Adat Shalom Synagogue to speak to the high school students about their careers in the media. Of course I knew your mom from the television news, but I was so intrigued with your dad's job as an advice columnist for the Chicago Sun-Times. He read some of the more humorous questions he had received over the years. And of course his humorous responses. Hello, I am Eden Zaslow, a student at Temple Israel Monday night school in West Bloomfield, Michigan. In my blog I will be talking about Jewish celebrities and the new or soon to be new LA: Detroit. I will be posting facts and gossip about Jews and about the movies being filmed in Detroit. Enjoy! The next time we had class you posted about how Michigan's current race for governor would affect Detroit's film industry. You correctly predicted that if Rick Snyder became Michigan's next governor it would jeopardize the film industry. While you didn't continue that blog, I know you have continued your photography. In fact, you might be the youngest photographer to have a photo credit in People Magazine. I know how proud your dad was that your photo of him was used alongside the review of his last book The Magic Room. I know I'm not the first to tell you this, but The Magic Room was your dad's last lecture. He helped make the words "last lecture" into a household term when he helped Prof. Randy Pausch leave his legacy to the world. The Magic Room was your dad's legacy. He wrote the book for you and your two sisters. He wanted to share how special the father-daughter relationship is, and in so doing he helped so many parents do their most important job a little better. Having my own daughter, I'm grateful for this beautiful book. This morning in synagogues all over the world, the Jewish people heard about Yitro's contributions to the Jewish people. Yitro was a Medianite priest and Moses' father-in-law. But he was also an advice columnist of sorts like your dad was at the Sun-Times. Yitro gave very important and useful advice to Moses that helped him be a better leader. While the Torah doesn't mention this fact, Yitro's advice also helped Moses be a better father and husband. 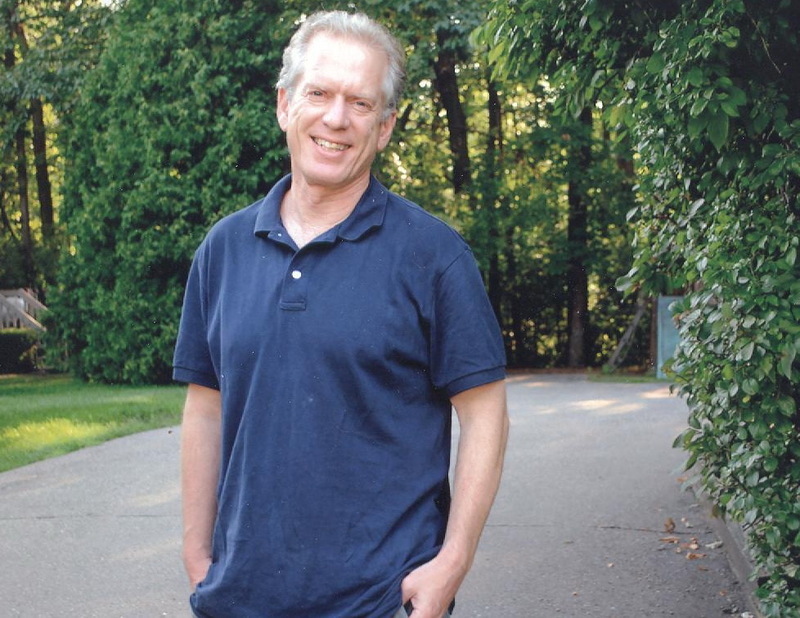 Your dad, Jeffrey Zaslow, was a modern-day Yitro. Whether it was following in the footsteps of Ann Landers as an actual advice columnist or writing brilliant books like The Girls from Ames and The Magic Room, or helping our heroes like Prof. Randy Pausch, Pilot Sully Sullenberger, and Rep. Gaby Giffords write their memoirs, your dad shared his wisdom with millions. The number of languages his books were translated into is a true testament to the far reach his books had. I wish I could give you some explanation for the tragic accident that took your father's life before he could see his own daughters trying on their wedding gowns in front of the mirrors of the Magic Room. I wish I could share a prayer or a psalm or an inspirational quote that could take away some of the pain you and your family are feeling right now. There is no explanation. It is shocking. It is horrific. Eden, you taught me an important lesson and one I won't soon forget. You taught me that we are not our parents. Just because your father was a prolific writer who was publishing a best seller each year, doesn't mean that his 15-year-old daughter shouldn't struggle in coming up with a theme for her new blog. Maybe writing won't be your thing. Maybe it will be photography. Or a million other things. No matter where you place your talents, I know one thing is for certain. Your father will be so proud of you. He will be looking down at his daughters and beaming with pride. Please know that your father left an indelible mark on our world. Through the gifts of his wit and wisdom, his keen ability to listen to others, his ability to tell stories, and his genuine desire to help others, Jeffrey Zaslow will long be remembered and cherished. But more important than that, he was a mensch and a wonderful and caring father. May your father's memory be for blessings. 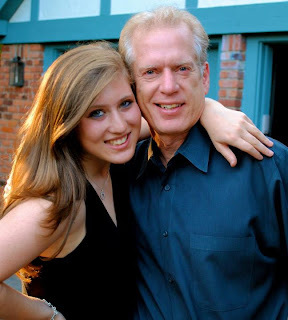 I was extremely moved by your letter to Jeff Zaslow's daughter, Eden. What a tragedy for her ab nd for her mother, sisters, and all those whose lives he touched. I didn't have the privilege of knowing him personally but I knew of him and his prolific work. Udi, who found out only today and called me in disbelief, reminded me that he also wrote togeter with her hussband, the book about the most courageous former Congresswoman Gabby Giffords. There are simply no words. Haval ahl deavdin v'lo mishtakhin. Words from the heart are sentenced to love. Rabbi, You are a remarkable asset to this community. Your Continuous devotion and loyalty to teach encourage love and foster is exactly what this community needs. And now! more then ever, Eden, Alex, Jordan and Sherry would need all the love and compassion they can get. Thank you G-d for your existence. May G-d continue to bless us with you in our lives, and your beautiful wife and kids. Thank you for sharing this heart felt letter to Jeffrey's daughter. 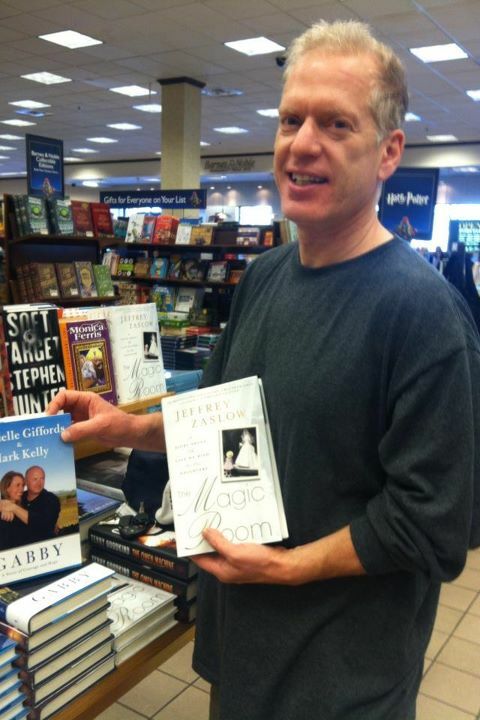 I had the honor of working with Jeff over the past few weeks at book signings for The Magic Room. He was such a wonderful and caring man. It was very apparent from the way he spoke of his daughters, the deep love he had. Gone too soon, his words will forever be here to teach us how to live and love. Your letter/blog is a warm outreach. Jeff's death has brought painful memories as my husband died in a car crash. the unexpectedness has so many "if onlys". Your letter will be a keepsake. Jeff and the girls helped make sandwiches for the "Homelesss" at Adat Shalom. He was volunteered to help and of course brought the girls. truly feel their deep pain. WOW. Beautiful words, beautiful letter,to Jeff's beautiful daughter. Jeff Zaslow's funeral will be on Monday at 1:00 PM at Congregation Shaarey Zedek in Southfield, Michigan. Your letter related the thoughts and feelings many of us would love to relate but don't have the eloquent words to write.. Thank you for writing them for us. Beautiful letter. I am going to share it with my 16 yr old daughter who knew Eden and is so sad for her loss. It is incomprehensible. That was beautiful. Thank you so much for posting such a wonderful piece of writing!!! That is a beautiful, meaningful letter. Rabbi Jason well said. I was crying before I even started to read this. Beautifully written. As so many are posting about Whitney Houston, this news stuns me more...his works were so impactful and touching. A stunning loss for the entire community. May his memory be for a blessing. What a wonderful, touching letter. I hope it will bring her comfort during this difficult time. Thanks for posting Karen. It's so beautiful it made me cry. What a beautiful tribute about a wonderful man. She will surely treasure that letter all the days of her life. I cried when I read this. I cannot get this family out of mind. May they somehow find the strength to cope with this tragedy. Very well written letter rabbi. To all the Zaslow's, may g-d bless you in this time of sorrow with strength, and give you comfort in this moment of grief through the knowledge that Jeffrey, has now become eternal within your beings and within the realm of g-d. And know that the value of life is not measured in the length of days, but rather in the quality of those days. Our prayers and thoughts will continue for you. A very beautiful tribute Rabbi--thank you for sharing this publically. Jeff Zaslow was a warm and caring man, funny, and loved his family. He was a very loving father and may your words comfort his family and his daughters. His death is so tragic. Your tribute and letter honor him and I hope comfort his loved ones as they embrace love and memories. 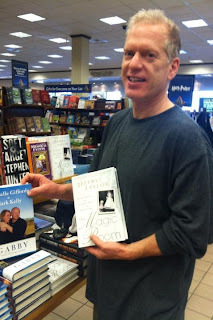 What if Jeffrey Zaslow had not driven to northern Michigan in the winter for a book signing for his latest book, THE MAGIC ROOM, in Petosky? Did he really have to go that far, overnight, just to sign books in a small town? SIGH and REST IN PEACE, JEFFREY: a good man gone too soon! but why was a bestselling author on a cold February morning driving solo to and from a small bookstore in northern Michigan, when he did not have to do such a minor book event for his new book. He could have done an interview on Good Morning America or NPR and any other large media outlet, and he could have had a much different arc in life. It seems so sad and a pity that Jeff had to drive solo in icy conditions from Detroit to Petoskey and back just for a minor minor book signing event. yes, That he bothered to go there says volumnes about his own dedication to his fans and readers, so on level, bravo to Jeff for agreeing to go there to sign a few books. But on the other hand, one has to ask his publishers and PR people: why on Earth was this small book event part of his national book tour? What were people thinking? And why did he go? I don't know you, and don't know if you ever met Jeff Zaslow. valued small bookstores and wanted to speak and talk to his readers. to know that he would totally disagree with what you have written. writing, journalism and writing in general. I suppose it is part of the accepted role a writer takes when a publisher agrees to put out his book. If there had been 140 people in the room, would the loss have been any less tragic? It's an old, old piece of wisdom to live each day as though it were your last . . . for it may be. 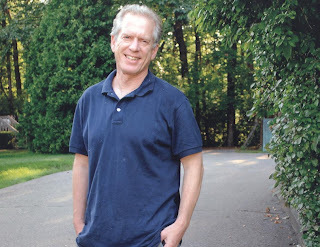 I am very grateful for your tribute to Jeffrey Zaslow that appeared in the Detroit Jewish News online. I was deeply saddened to hear about his tragic and sudden loss of life. It nearly took my breath away. Few of my friends followed his work as I did, so they are unable to empathize with me too well. Although I never met Mr. Zaslow, I was often touched by his columns in the Wall Street Journal (that I hope will bound into a book along with his advice columns from the Chicago Sun Times). When he began the Zazzbash, I was already engaged but I knew that had I been single, I would have been there. His genuine concern for the human condition could not be matched by professional psychologists or relationship specialists (as a social worker, I can make this statement). Your column was especially important because due to the passing of other celebrities this weekend, his story too quickly faded into the background. Almost immediately I found his book, The Magic Room, and have hardly been able to put it down since. You captured its essence immediately...even with the Gifford book on its way, I also realized within the first few pages, that this book would his Last Lecture, his legacy to his daughters. There are so many truths and life lessons in this book. I could relate to several of them, especially the need to share your love in words to appreciate the time one has to say goodbyes when there is a cancer diagnosis but not from a fatal heart ailment or an accident. I loved the fact that he was a middle class, Midwest, mid life, Jewish mensch who did not seek fame but found it because as a truly gifted writer, he shared the remarkable and memorable stories of peoples' lives and touched our lives as deeply as any actor or singer, if not more so. His is a rare role model for all of us. In addition to compiling his columns, I hope that someday soon there will be a writing/journalism scholarship in his memory It may be a cliche, but the world is a better place because Jeffrey Zaslow was in it. We will miss him.